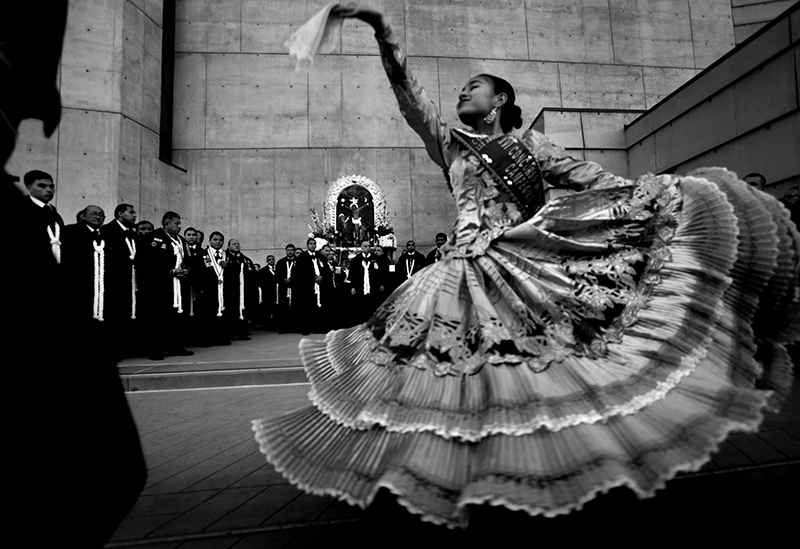 Worshippers honor the patron saint of Peru “The Lord of Miracles” through the streets of L.A. during the annual festival. During the annual Al Senor De Los Milagros religious celebration, the Brotherhood of Carriers take shifts carrying a 2-ton makeshift altar bearing a replica of an ancient painting of Christ along a five mile procession through the streets of Los Angeles. Women carrying incense pray alongside hundreds of worshippers late into the night to honor the patron saint of Peru "The Lord of Miracles. "; The patron saint is believed to have healing powers.